On January 31, 2017, Golden Rule-Covington Lodge No. 109 welcomed two new Brothers to the family of Freemasonry. Bro. Mike Hamilton and Bro. Randy Herzog were initiated as Entered Apprentice Masons before a crowd of 31 Masons representing at least a dozen different Lodges. To demonstrate that Freemasonry really is a family, Bro. Randy Herzog’s father is our own Bro. Jim Herzog. Five of our Brothers from Elvin E. Helms Lodge No. 926 were in attendance at the Degree: Worshipful Bro. Buddy Wallace, Master, Worshipful Bro. Jim Herzog, Worshipful Bro. Ernie Stratton, Worshipful Bro. Ed Tanner, Senior Steward and Worshipful Bro. Dan Kemble, Secretary. Congratulations to Worshipful Bro. Rob Himes and his corps of officers for some fine degree work! Welcome to Bro. Hamilton and Bro. Herzog! May your Masonic journey be rewarding to you and our Craft! L-R: Bro. Greg Bailey (109), Bro. Dan Kemble (517, 926), Bro. Buddy Wallace (264, 926), Ernie Stratton (304, 926), Dwight Rider (109), Mike Hamilton (E. A., 109), Jason Hale (109), Ed Tanner (304, 926), Rob Himes (109), Orlando Dos Santos (109), Eric Nelson (109), Randy Herzog, (E. A., 109), Jim Herzog (264, 926), and Hampton Quigley (109). 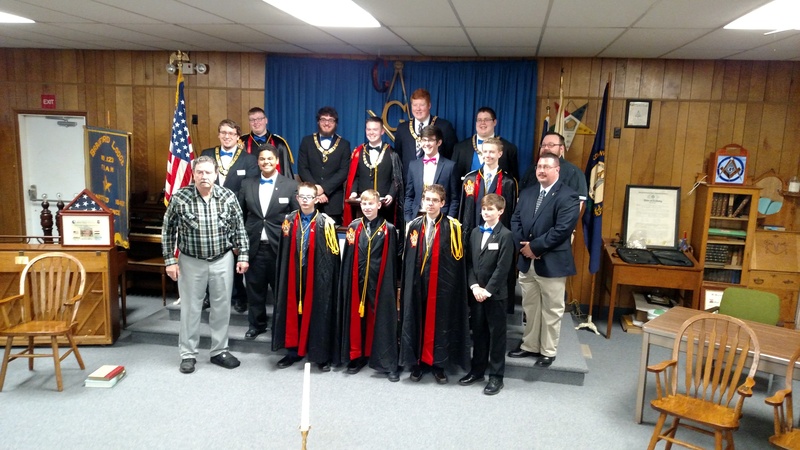 Northern Kentucky Chapter, Order of DeMolay, held its installation of officers on January 29, 2017 at Bradford Lodge No. 123, Independence, Kentucky. Bro. Josh Ball, who also serves as State Junior Councilor, was installed as Master Councilor of the Chapter. This is Bro. Josh’s third term as Master Councilor! The Installation was performed by State Master Councilor Draven Sims along with his corps of officers. Our Master, Bro. Buddy Wallace, along with Junior Warden Adam Gross and Secretary Dan Kemble attended the installation. Worshipful Bro. Buddy is pictured above with the members of Northern Kentucky Chapter, Order of DeMolay and the state officers of Kentucky DeMolay. 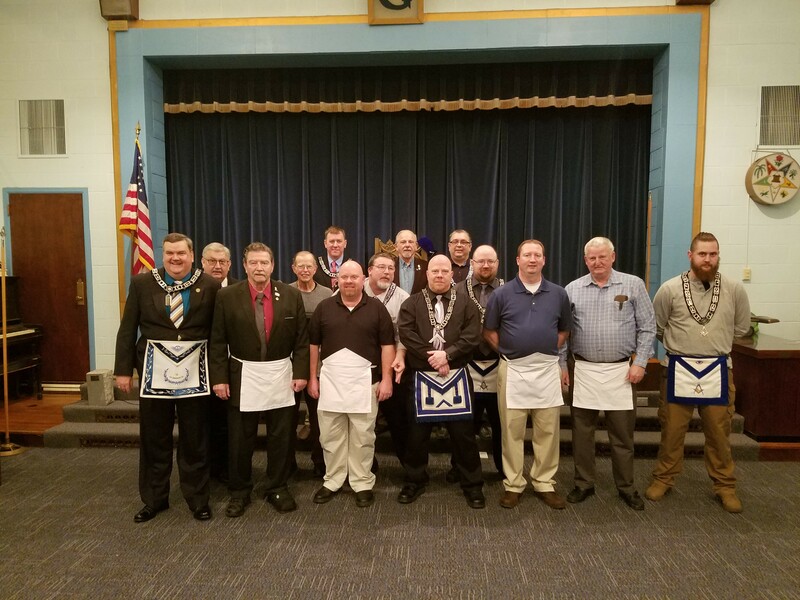 Northern Kentucky Chapter meets at Bradford Lodge No. 123 on the 2nd and 4th Sundays of each month at 2:00 P.M. Please support these young men and welcome them into the family of Freemasonry. 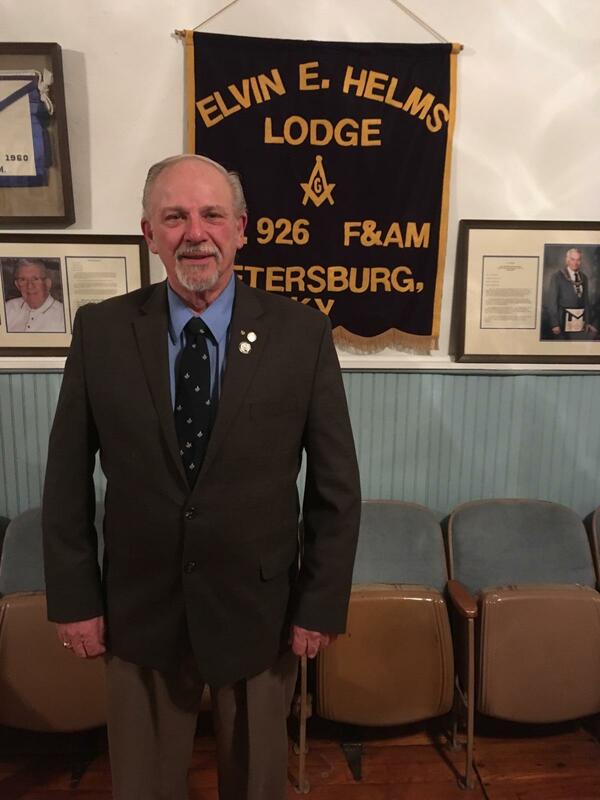 On Saturday, February 18, 2016, Elvin E. Helms Lodge No. 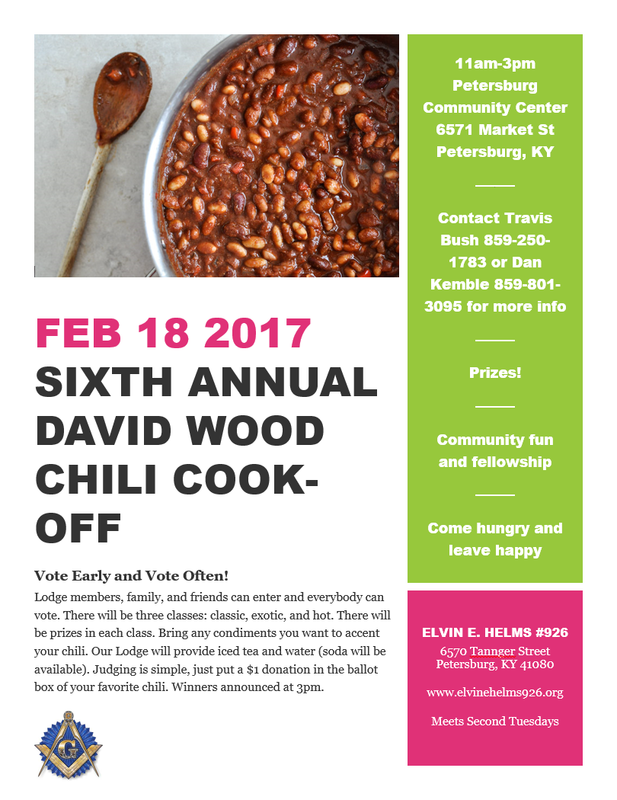 926 will host its 6th Annual David Wood Memorial Chili Cook-off. Festivities will begin at 11:00 A.M. and winners will be announced at 3:00 P.M. The event will be held at the Petersburg Community Center, 6517 Market Street, Petersburg, Kentucky, 41080. Lodge members, family and friends can enter and everybody can vote. There will be three classes: classic, exotic and hot (!). There will be prizes in each class. Bring any condiments you want to accent your chili. Our Lodge will provide iced tea and water (soda will be available). Judging is simple, just put a $ 1 donation in the ballot box of your favorite chili. You may cast as many votes as you want and we encourage you to vote often!! Winners will be announced at 3:00 P.M.
Our speaker for our January educational program was Worshipful Brother Ed Tanner, reflecting on the 50+ years he has been a member of our fraternity. Membership totals are not adjusted for dual members. In other words, the total numbers are inflated. Where are we today? Membership is down, Past Masters are asked to fill positions in the line, officers read their duties from a book, can’t put on degree work themselves and have to ask Brothers from other Lodges to stand in, which is mainly due to only four or five members attending or the majority of the members are older and don’t drive at night, yet they still want the Lodge to stay alive and function, members don’t learn charges to the degrees, roughly present a proficiency examination from a new Brother, which is not an asset to him. After all, he is there to learn. Another alteration is the dress code of members in Lodge. It was explained to me that going to Lodge, a replica of King Solomon’s Temple, was compared to going to church. Dress that way. Times have changed and the dress code has been greatly reduced by Lodges and churches. Many Pastors say they would rather have members present and dressed as they wish than not have them attend at all. I suppose this could be the same line of thinking for Masters of Masonic Lodges today. True, many Masons don’t own a suit or like to wear a tie, but respectable, clean clothes should be the unspoken code for Lodge or other function attendance and the Grand Lodge Communication as well. In the Address to a Newly Raised Candidate, which has been presented by Bro. David Wood, P.M., Boone-Union No. 304 and Elvin E. Helms No. 926, there is a statement and I quote, “Membership in a Masonic Lodge can no more make you a Mason than membership in a Musical Club can make you a musician.” And so it is with Masonry and the Masonic Lodge. There are four classes of men in this world. Firsrt those who are Masons neither in name or nature; second those who are Masons in name only; third, those who are Masons by nature; and lastly, those who are Masons both in name and nature, and this class are God’s noblemen. I thought so much of this address that I learned it to present it after the death of Bro. Wood. Some men don’t ask for a petition because they aren’t interested or don’t care what the Masons stand for or do. Some men join, get raised or get in line and even become Master, after which they rarely and sometimes never set foot in a Lodge again. They become Masons in name only. Masons in name only also applies to the appendant bodies of the Masonic Order which members join and never participate in meetings or Degree Work. It makes one wonder, “Why did they join?” Is there some material profit or favor they expect to gain from saying, “I am a Mason,” or by wearing a ring? Those by nature are men who never ask for a petition but lead a respected, helpful, meaningful life, which all Masons should do. We probably all know someone whom we respect and think that they would be a good Mason because of their many good qualities. Those who are Masons in name and nature which there are many, take their obligations seriously and go about doing good deeds, not expecting any recognition or reward and being proud to be a Mason. Yes our numbers are down and those who are truly Masons in name and nature and interested in the Order still attend Lodge, still fill a station when asked, even though they may have for sometime but really don’t want to, learn and confer degree work, know how to open and close a Lodge properly, instruct proficiencies and go about doing good deeds for their Lodge, their community and especially their fellow man. Above all these Brothers are willing to assist others who have the desire to learn. In closing, “Where Are We Going?” That question can be answered by every Mason in the Commonwealth. To state it better, ask yourself, “Where Am I Going?” Do I dress and act the part of a respected Mason and am I going to learn rituals and degree work, am I going to attend Lodge on a fairly regular basis so I know what is going on with the Lodge and staying informed, contribute to the Lodge activities, instruct by word and actions, and be involved with the other Masonic bodies I belong to. Those members who are called upon and accepting an invitation to confer degrees, lectures, or charges for another Lodge are fading. I ask you, “Who will fill their shoes?” They will always be needed and asked to assist for reasons already stated, and thanks to God, they willingly accept the invitation. Masonry will be around a long, long time if the present members get involved in their Lodges and show the world what Masonry is about, thereby attracting men who want to be Masons and asking how to join, by doing deeds in the community, schools and toward their fellow man. Fifty years isn’t a very long time. I have seen many changes in both district and Grand Lodge, due to electronic communication and voting procedures, most of which are good, as secretaries don’t have to file reports to the Grand Lodge in triplicate or communicate with sister Lodges by the use of U.S. Mail. 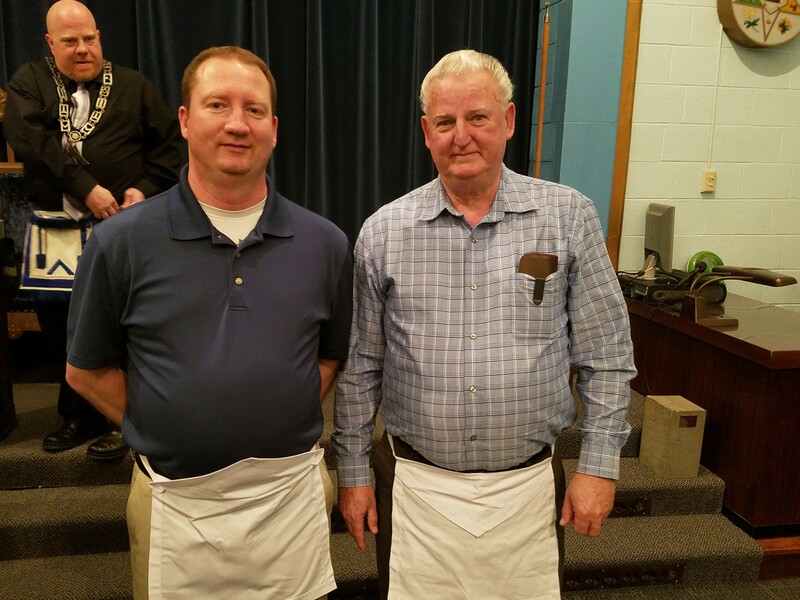 A most significant step is the fraternal relations with the Prine Hall Masons, something that would not have happened fifty years ago or even ten to fifteen years ago. I hope I contributed to a small part in Masons, maybe inspired a Brother to step up and take a part or fill a chair, taking a chair when asked by a new Master, even though I really didn’t want to, but later felt honored that I was asked and accepted the request. As a young man of 23 years of age, sitting on Lodge steps in 1965, wondering about his choice, I now know it was a good one because of the great men I have met and respected and still meet those kind of men, men from sister Lodges that attended my Lodge whenever there was degree work, just to visit, the grant men I have served under or served as Master of a Lodge or being involved in other bodies. Yes, it was a great choice and Masonry has taught me very much. I have gotten more out of Masonry than I have put into it and I am thankful for that. It is up to the present and future members to learn, serve, and keep the Greatest Fraternity in the World, going forever. My sincere wish is that they will. Fifty years isn’t a very long time. Get involved now, time is passing. 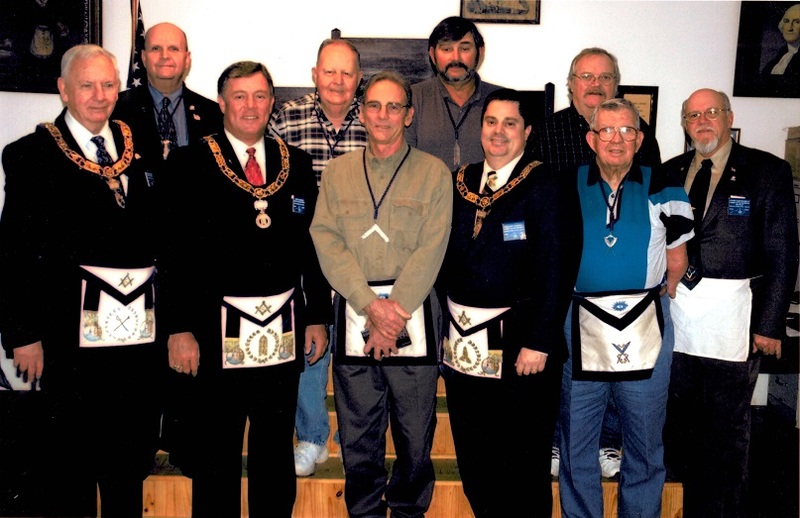 A recent search of the Archives of our Lodge produced the photograph shown below, taken on December 14, 2004. The occasion was the installation of the Officers of Petersburg Lodge No. 926 for the 2005 Lodge year. Pictured above, left to right: Worshipful Bro. Mel Kinser, Grand Pursuivant of the Grand Lodge of Kentucky; Al Cummins, Senior Warden; Right Worshipful Bro. Keith Dreier, Grand Junior Warden of the Grand Lodge of Kentucky; Worshipful Bro. Al Collier, Treasurer; Worshipful Bro. Dennis Stephens, Master; Worshipful Bro. Rick Campbell, Junior Warden; Right Worshipful Bro. Greg Powell, Grand Senior Warden, Grand Lodge of Kentucky; Worshipful Bro. Kenny Williamson, Tyler, Worshipful Bro. Elvin E. Helms, Jr., Secretary; Worshipful Bro. Garry C. Kelly, Committee on Biography, Grand Lodge of Kentucky.